As a manager we are embraced with choices leading to decision making. A worldlier, holistic experience is provided through the fresh breath of air which is literature. 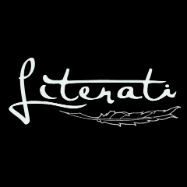 Literati, as the name suggests, is a forum for the road less travelled. It's an emerging platform to express, discuss and elaborate on many central themes which are a hurdle in the realistic cut-throat competition of today. Knowledge and information work more beneficially in a two-way medium where it is exposed to the best of abilities. The corporate jargons of empathy, leadership and contexts are more defined and restructured in a simpler day to day words through the amorous creative streak exhibited by student managers. Literati - the literature forum of IMT Nagpur aims at providing the student managers a totally different perspective of this world with a tinge of literature. The forum organises a motley of events like War of Forums, Poetry Night, Chutzpah (the creative mind bender) and many more, to enhance the enthralling view of the students. Literati floats ‘InfoNewsLine’ once a week to the students to enrich their general awareness. Literati is a forum known for its creativity and for providing quirky experience to the student managers.